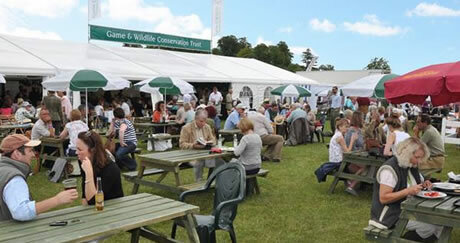 It may be a few weeks until the CLA Game Fair gets underway in Yorkshire but we've been busy planning for our stand. Read on to find out why you should pay us a visit. Young pheasant poults will help demonstrate the results of a fascinating study in to whether simple techniques introduced in the early stages of a reared pheasant’s life help it survive better once released and this has achieved some remarkable results. We'll be reporting the latest findings from our satellite tagging project, which is now following the hazardous migration journeys of more than 56 tagged birds as they fly back to their breeding grounds in Siberia and beyond. Our welcoming members’ area will definitely be the place to relax with friends and guests. You'll be able to enjoy a selection of delicious food from our new caterers and a well-stocked bar serving a full selection of soft and alcoholic drinks including local draught ale and lager. We will also be providing FREE wi-fi on our stand. We're delighted that Bright Seeds will be displaying an extensive range of fully-grown crops on the stand enabling people to catch up on the latest developments in cover crops and wildlife bird seed mixes. Sparsholt College from Hampshire will be demonstrating how they use our science and research in education through their courses and careers advice. 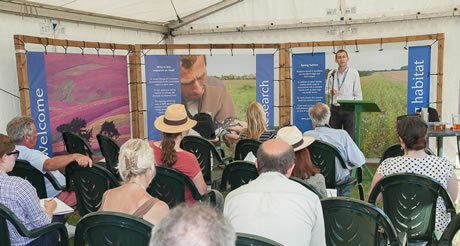 UPDATED 29th June - click here to read our latest CLA Game Fair news and discover more excellent reasons to visit our stand. Why have three hen harriers disappeared?